Natural semi-precious stone with very specific properties and characteristics. It is found exclusively in the Czech Republic – does not exist anywhere else in the world in this quality. Its color is rich red transparent to translucent mineral: shades from fiery to blood red brought out by our perfect cut. 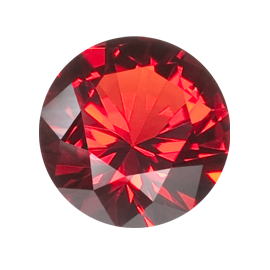 Natural Red Garnet has exceptional color stability – optical-aesthetic properties remain stable over time.